One of five Richard Gunner’s Fine Meats retail outlets, at Victor Harbour. TOUGH trading conditions in a competitive wholesale/retail meat environment and the closure of Thomas Foods International’s Murray Bridge processing plant after fire last year have been blamed for a South Australian meat business going into voluntary administration. Richard Gunner’s Fine Meats was a prominent wholesale/retail business with five butcher shops under the Feast! And Chop Shop names around Adelaide, and a large boning and processing wholesale facility near Mt Barker. In total the company employs about 50 staff. The wholesale business serviced a large food service and retail clientele, including prominent Adelaide, Melbourne and Sydney restaurants. High-end clients included Heston Blumenthal’s The Fat Duck in Melbourne and René Redzepi’s Noma in Sydney. After 17 years of trading, principal Richard Gunner has placed the business in voluntary administration, owing secured and unsecured creditors and staff about $8 million. More than $5 million of that was to trade creditors. Both the wholesale and retail arms have continued to trade, under the control of administrator, Rob Naudi from Rodgers Reidy in Adelaide. Mr Naudi told Beef Central he remained confident of finding buyers for the wholesale and retail businesses – either as a whole or in portions. He said expressions of interest in different parts of the business had been received from prospective buyers even before advertising started on Tuesday. “Every aspect of the business has already attracted interest,” Mr Naudi said. He expected the amount of debt to fall as the true financial position of the business became clearer. An application to extend the convening period to 31 March was successful, in order to allow administrators to conduct an orderly sale process. An earlier statement from principal Richard Gunner advising customers and suppliers about the move into voluntary administration said the business had worked hard for the last few years to address the many challenging events and circumstances it faced in current difficult times. “But even our best endeavours failed to raise the capital we require to continue to revive the business,” he said. “More recently our efforts were compounded by beef prices doubling to record highs, a decline in retail sales across the board and increasing purchase price pressure from supermarkets, the advent of online sellers focused on home delivery and the devastating impact of the drought on supply and costs,” Mr Gunner said. He said last year’s fire at Thomas Foods’ Murray Bridge abattoir had only added to the business’s tribulations, forcing it to find a replacement service kill processor for its Coorong Angus beef brand. Mr Gunner assured stakeholders that the business’s first priority was to meet all its commitments – to staff, creditors, suppliers and customers. “We will be working closely with the team at Rodgers Reidy to achieve this,” he said. Mr Gunner was a passionate advocate and occasional spokesman for the beef industry, establishing supply chain relationships with progressive cattle producers, adopting ‘artisan’ production techniques like dry-ageing and tenderstretching, and exploring the merit in obscure beef breeds. Through the retail shops and wholesale business, he worked with farmers to develop niche brands, including in heritage breeds such as Belted Galloways, British Longhorns, Dexters, Red Polls, South Devons and black-faced Pure Suffolk sheep. 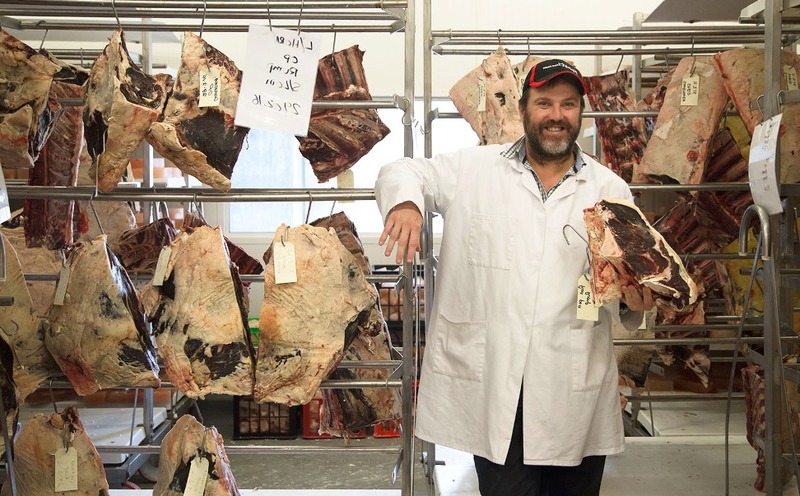 He thanked stakeholders for giving the business the privilege of bringing quality meat products to the dining tables of households around South Australia and onto the menus of some of the very best restaurants in the country. 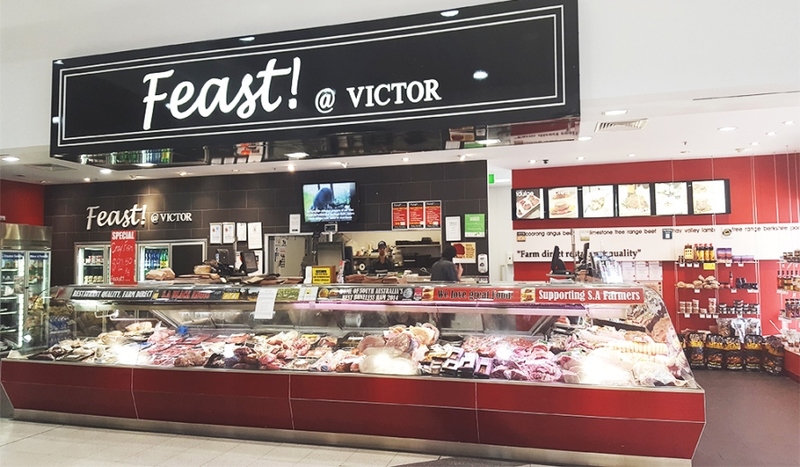 In comments clearly directed at the influence of national corporate retailers, Mr Gunner said consumers held the future of small and medium-sized family businesses in their hands. Richard Gunner’s leadership in pioneering and developing the “Paddock to Plate” concept has been a massive learning exercise for the whole red meat industry. There has not been a louder voice nor a more thoroughly educated advocate than Richard Gunner.His experience, knowledge, and overall achievements in the last 17 years are to be applauded and hopefully there is more to come.